A score of Brussels’ cultural institutions have teamed up for you to (re)discover Victor Horta from every angle, bringing you a line-up of activities of unprecedented quality and quantity linked to this famous architect to look forward to throughout 2018: exhibitions, guided tours, educational activities, organised activities and more. Join us to commemorate the work of this extraordinary architect! A festival dedicated to Art Nouveau and Art Deco, where this year’s theme is: “Hidden treasures and focus on Victor Horta”. 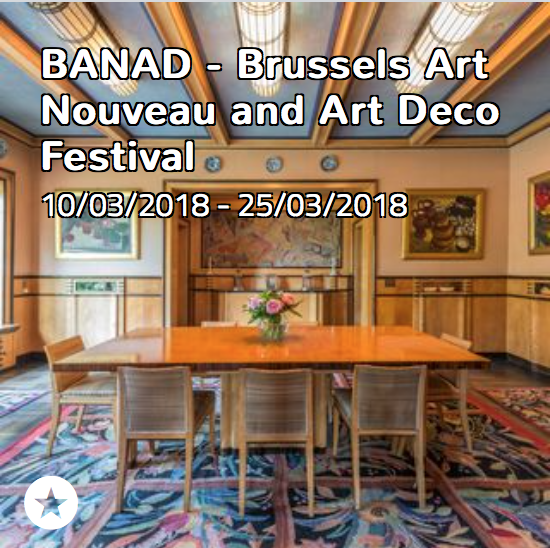 The programme includes a whole range of activities for discovering the wonders of these two architectural styles: visits to exceptional Art Nouveau and Art Deco interiors, guided tours on foot, by coach and by bike, concerts, exhibitions, cultural events and more. … and many more: find out here. Exceptional interiors and stunning exteriors; tour guides can’t wait to show you Brussels’ Art Nouveau gems! The ARAU offers a coach tour dedicated exclusively to the Belgian master of Art Nouveau: Victor Horta. This is a unique opportunity to gain deeper insight into the work of this talented architect by visiting some of his works, among others: a mansion and an old textile warehouse (the former Waucquez warehouses, currently housing the Belgian Comic Strip Centre). These tours open the doors to magnificent Art Nouveau townhouses and mansions and allow visitors to enter the magnificent interiors that are usually closed to the public and discover all their architectural wealth. For each interior a visit of 1 hour, Departure possible at 10.30, 11.00, 12.00 or 13.30. As Secretary General of the Congo, van Eetvelde strives for a luxurious residence. As a progressive-liberal person, he turns to Victor Horta for the design. The opulent interior, bathed in light, offers views of the Squares and the ponds. The layout of the landscape park is reflected in Horta’s unusual design of the house. …and many more: find out here. 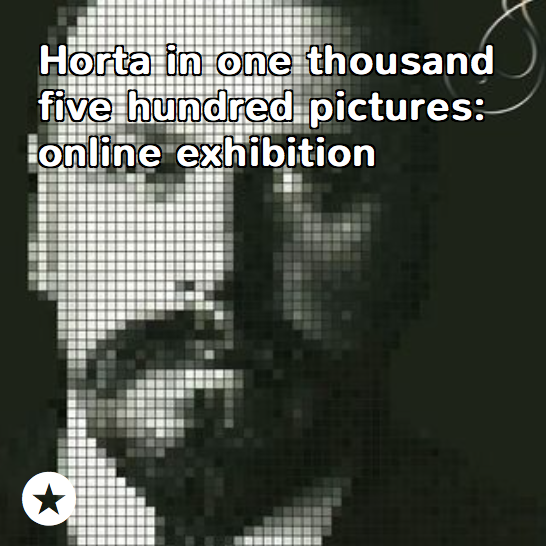 Discover here all the exhibitions about Victor Horta’s life and work. The evocation of nature and rational construction inspired by nature are the basic building blocks of Victor Horta’s architecture and of the living environment of its inhabitants and users. By placing a light metallic frame at the heart of his architecture, he opens up spaces and creates an extraordinary method for capturing daylight and at the same time creating a stunning Chiaroscuro effect that plays with light and darkness. The exhibition revisits the work of Victor Horta through the theme of light, from the Hotel Tassel to the Central Station. In 1890, Victor Horta was entrusted the task of designing a building to house the monumental marble relief “Human Passions” by the sculptor Jef Lambeaux. The architect had trouble curbing the sculptor’s desire to leave his mark on the building’s architecture. But the result was breathtaking: although classical at first sight, the building turned out to be very innovative and clearly announced the emergence of Art Nouveau. The photo library of the Royal Institute for Cultural Heritage (KIK-IRPA, Brussels) houses over 1,500 photos illustrating almost the complete works of Victor Horta. Visit www.balat.kikirpa.be/horta to discover his masterpieces, including the long disappeared Maison du Peuple, Hôtel Aubecq and Salle Cousin.